Visitors to this year's Showman's Show will be able to witness the creativity, flexibility and impact of G-SMATT's innovative, rich media G-Tainers. This exciting product is a combination of smart glass and a bespoke steel container that allows companies and brands to communicate and interact with their audiences in new and thrilling ways. The only limit is the client's own imagination and creativity. Roughly the size of a shipping container, G-Tainer media displays are able react to their environment providing concert goers, sports fans, exhibition guests or shoppers with a unique and memorable media experience whilst also delivering an attractive “pop-up” space for sales, VIP entertainment, news and outside broadcast studios and many other applications. G-Tainers are available to hire and G-SMATT provides all the necessary support from transportation and installation through to the development of appropriate media content to create a unique brand experiential installation. 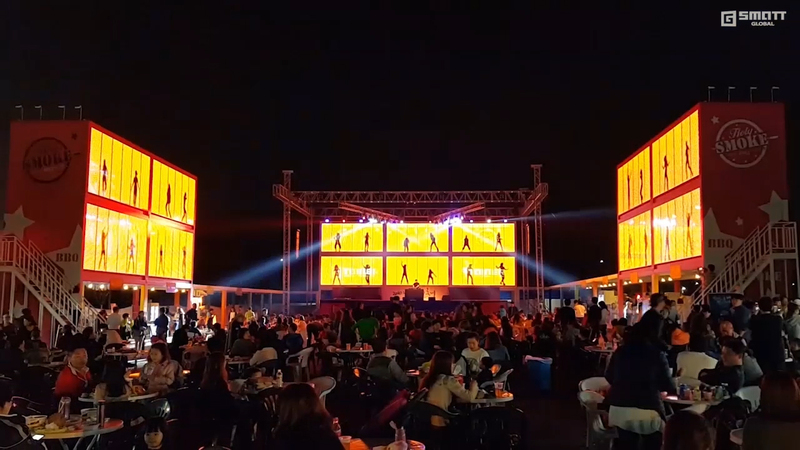 The units can be installed individually or combined in a multiple container construction for a larger pavilion or an eye-catching tunnel, in which guests are immersed in a creative light and media experience. Alternatively, individual panels of the smart glass can also be incorporated into the side of marquee structures to create eye-catching features. There will be opportunities to experience the VR capabilities of the product and other competition opportunities on the stand.